Monday. Busy day of posting and content creation. My real work these days. This evening, around six, we took the kids up to the IKEA in Frisco. They love going there. It is such a treat. We go all around the store and they love dreaming about rooms designed like the IKEA designers make them. They love to eat there and to explore every inch of the store. Our mission tonight is a chair. Dominica really liked the simple IKEA chair that we had while we lived in Italy this past winter and she wants the same one for our house here. 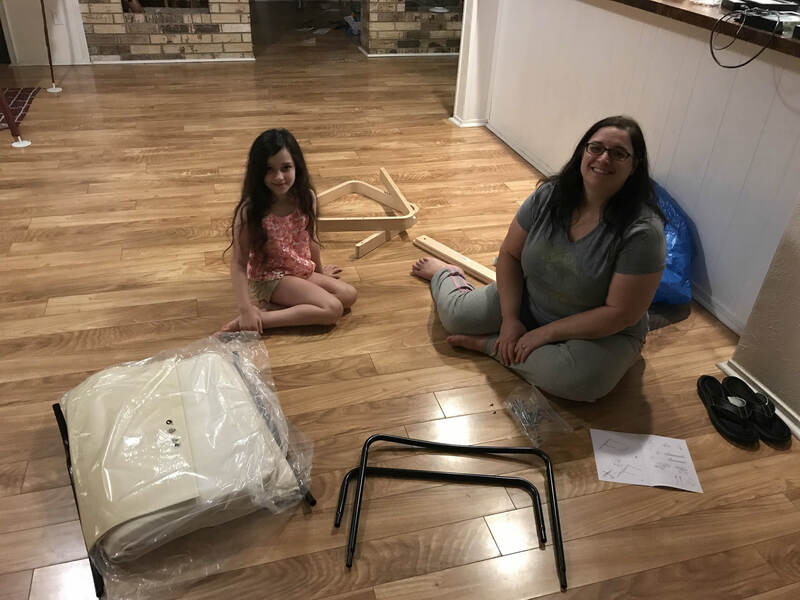 We got home at nearly eight and Dominica, with Liesl’s assistance, assembled our new IKEA chair that will go in the living room.